The most romantic day of the year is just around the corner, and we’re definitely feeling loved-up as the Liverpool launch of A Little, Aloud with Love is taking place this evening at Waterstones Liverpool One with guests including the editor of all of our A Little, Aloud books Angela Macmillan and Gogglebox stars and one of Liverpool’s favourite couples June and Leon. A few tickets are still available and can be purchased on the door or by calling Waterstones Liverpool One on 0151 709 9820. One of the most romantic lines in the English language is featured in Far From The Madding Crowd – and A Little, Aloud with Love! Our hearts have been thoroughly warmed by the results of a poll to find the most romantic line in the English language, carried out by the TV channel Drama. Quotes from not one, nor two but three classic novels made the Top 10 with lots of competition also coming from film and TV – and what’s even better is that extracts from two out of the three listed books are featured in A Little, Aloud with Love. Topping the literary words of love at number 5 is Cathy’s declaration that “Whatever our souls are made of, his and mine are the same” about Heathcliff in Wuthering Heights. Making number 8 in the poll is “And at home by the fire, whenever you look up there I shall be. And whenever I look up, there will be you” as said by Gabriel Oak to Bathsheba Everdene in Far From The Madding Crowd – and the very same quote appears in the extract from the book in A Little, Aloud with Love, no less! Hearts have also been racing with BBC One’s adaptation of War and Peace, which has attracted millions of viewers and came to its conclusion on Sunday night. 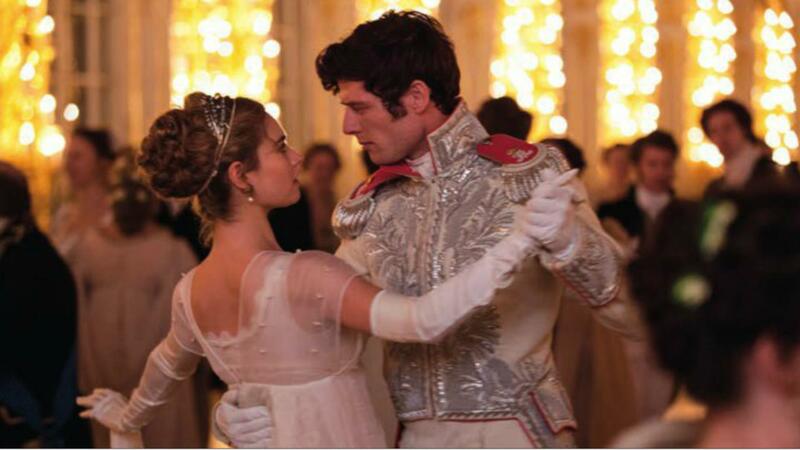 The twists and turns in romantic affairs amidst the backdrop of the 1812 French invasion of Russia have captivated audiences, with the ballroom scene between Natasha Rostova (as played by Lily James) and Prince Andrei Bolkonsky (portrayed by James Norton) being one of the most memorable and spectacular moments. An extract following the famed scene of Natasha and Andrei’s first meeting is also featured in A Little, Aloud with Love, so for those of you having withdrawals of not yet brave enough to commit to the entirety of the novel, it’s the perfect place to begin – and what’s more it’s paired with a beautiful poem by Andrew Marvell, which is a definite bonus. With all of these extracts combined packed into one book, we think we can safely say that the romance rating of A Little, Aloud with Love is very high indeed! Wuthering Heights is full of confessions of love. I just sat tight on Valentines day and wrote about them lol. My favourite is when Catherine describes her love for Linton in comparison to Heathcliffe’s.